Facebook is coming to Jakarta to meet startups specializing in data innovation for our Startup Station Singapore program! 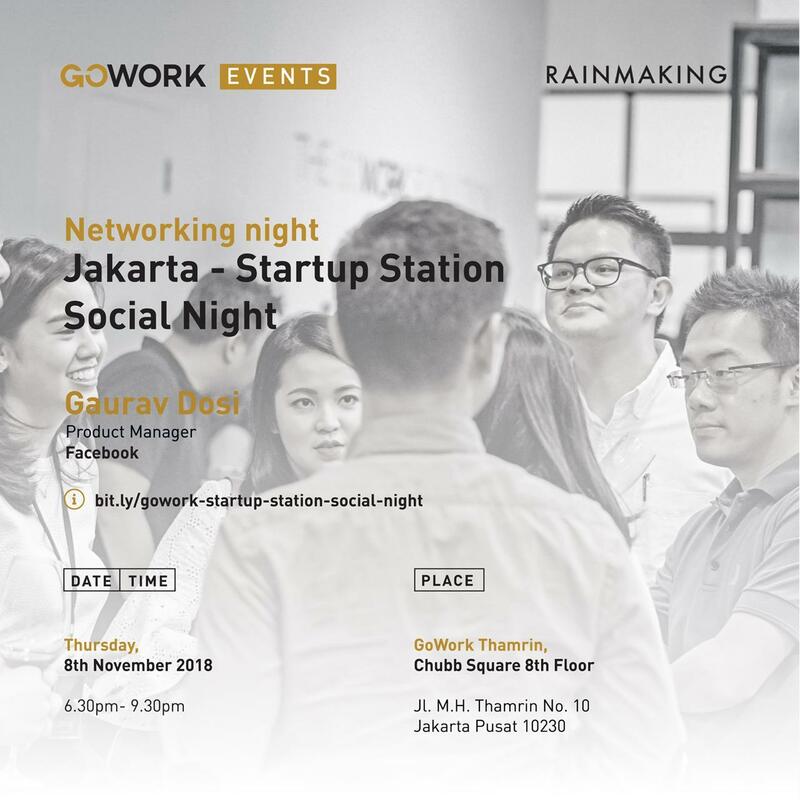 To celebrate our time in Jakarta we'd like to invite the ecosystem to come together for an evening of drinks and discussions. To kick-off the event, a keynote will be delivered by Gaurav Dosi, a Product Manager at Facebook, on scaling products and marketplaces. We'll follow it up with a casual get-together. This is a great opportunity to mingle with the Startup Station team and Facebook mentors. Registration starts at 6.30PM, so make sure not to come late!